Thousands of passengers are reportedly left stranded in Europe and the US as a result, with affected routes including a popular Dublin-Keflavík service. “WOW air has ceased operation. All WOW air flights have been cancelled,” it announced in a statement posted on its website. Earlier this morning, WOW’s flight schedule was postponed as a last ditch effort to raise equity with a group of investors appeared to have been underway. In its latest communication, however, the airline has advised passengers that have booked with it to “check available flights with other airlines”. “Some airlines may offer flights at a reduced rate – so-called rescue fares – in light of the circumstances. Information on those airlines will be published, when it becomes available,” WOW said. Aer Lingus says it will offer rescue fares from Ireland to the US or Canada for customers booked to fly with WOW up to April 11 (call 1890 800 600 after 18.30 on March 28), while Norwegian will offer “repatriation fares” from tomorrow, set at a 25pc discount off net economy fares, for example. Ireland’s Commission for Aviation Regulation has advised passengers to contact their debit or credit card providers to avail of chargeback facilities. “If you did not purchase your ticket as part of a package, you are advised to self-repatriate by booking directly with other airlines,” it added. Those affected are also being advised to contact their travel insurance provider, or their travel agent or tour operator if they booked through an agent. WOW air was founded in 2012 by Icelandic entrepreneur Skúli Mogensen, and sought to disrupt air travel with its unbundled services and low-cost fares. WOW rapidly expanded as a ‘disruptor’ thereafter – offering several, budget-friendly one-stop routes to North America via its hub in Keflavík, near Reyjavík. For a brief period, the airline also operated from Cork Airport, but suspended the short-lived service there due to low demand. Aviation has proved a tough business in recent years, with Air Berlin, Primera, Germania, Monarch and Cobalt also collapsing. Now, they are joined by the Icelandic carrier. 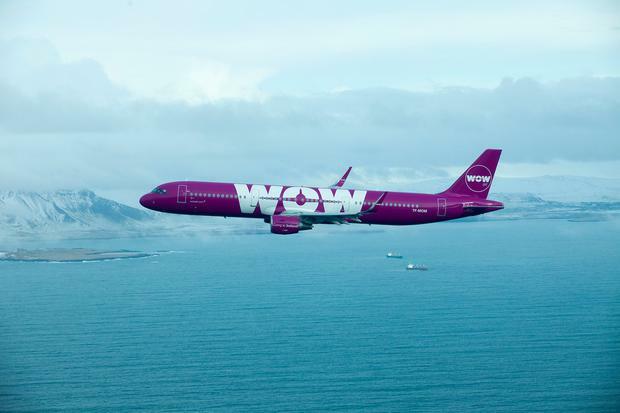 “End of Operation of WOW air,” the airline’s website states.